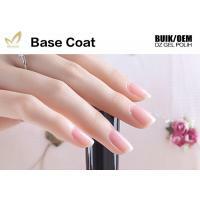 Suitable to apply on top of UV gel nails,acrylic nails ,natural nails etc. to create a glossy finish! 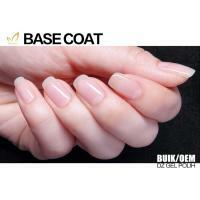 Step 2: Apply a thin layer of BY base gel, cure. 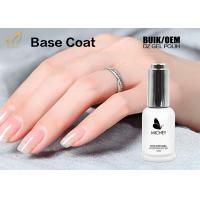 Step 4: Apply BY top coat gel, cure. 1. Q:Can I use my own forwarder to transport the products for me? A:Yes, if you have your own forwarder in Guangzhou, you can let your forwarder ship the products for you. And then you will no need to pay the freight to us. A:T/T, 30% deposit before production, the balance before delivery. We sugguest you transfer the full price at one time. Cause there is bank process fee, it would be a lot of money if you make twice transfer. 3.Q: Can you accept Paypal or Escrow? A:Both payment by Paypal and Escrow are acceptable. 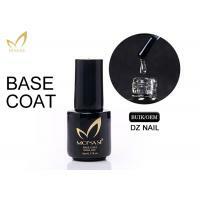 We can accept the payment by Paypal(Escrow), Western Union,MoneyGram and T/T . 4.Q:Can we print our own brand for the fixtures ? A: Yes, Of course.Will be our pleasure to be one your good OEM manufacturer in China to meet your OEM requirements. 5.Q:How to Place an order?